As landlords, we all have drama from time to time. Sometimes tenants like to include you in their drama. Landlording low income property has a greater share of this garbage that you have to deal with. I have had my share of it lately. So I'm going to give you a couple examples of what it's like landlording low income property. The more you have the more you have to put up with. Many of my residents are great hard working people but I always end up having a few at a time that are problem children. So a couple days ago I see some of my tenants moving out. The woman on the lease there (Telaya Nicole Wickline) had her mom and drug dealing girlfriend (Diamond) living with her that she said she wanted out of her house. I thought the mom and GF were leaving. Later that night I got a call from the tenant downstairs and a couple tenants next door that she kicked out a couple windows on the way out. I found that the next day that she also trashed the place and smeared food all over the kitchen walls. Telaya and I were on good terms, never any arguments or anything prior to this negative behavior. I don't understand this at all. She was a little behind on rent but I was working with her to catch up. Yesterday I got a call from one of my tenants that at one of my Quads the tenant upstairs kicked down the main front entrance door because they forgot their keys rather than calling me or maintenance. Apparently they banged on the windows of one of the lower units which woke up her children and due to that she refused to open the door. So they kicked it down. I really don't get it. What the hell is a matter with people these days. If I got pissed at someone in that house I wouldn't go to another persons car and beat their windshield in. So why would they kick my door in when I did nothing to them. Life as a low income landlord. Reports from the past week. Thought you may find it interesting what I go through on a weekly basis. The above vandalism is not typical. Happens once and a while but rare. 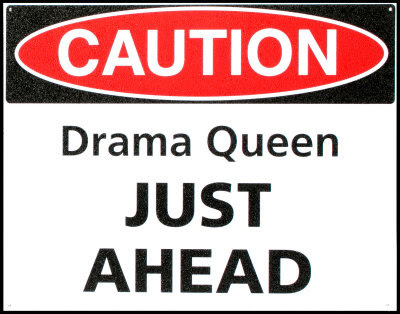 Below reports are every day drama. Tenant reports: Tenant catches someone breaking into their car over by the Rescue Mission. They call the cops. I believe the dirtball got away. Tenant reports that neighbor next door to her is mad at her and keeps turning her in for petty things. She was sitting on her porch and she says that the parents hold up a 9 year old girl in the window and pulls the girls pants down. Essentially moons her with their daughters rear end. Tenant wishes that I would be their payee so I went ahead and did that. Their check is send to me and I take my rent out first and help manage their bills by allocating them money to pay the rest of what they owe. If you do this you have to keep accurate records of what is paid for what and receipts for everything.